Coach Hire Scotland can provide transport for your Golf Tour in Scotland. A1 Minibus and Coach Services LTD.
Golspie Golf Breaks. 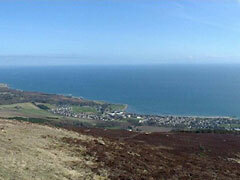 Golspie Golf Course - Running from the edge of the village along the seashore to the Ferry Wood, the Golspie course offers an unusual contrast in golfing terrain, traversing from links to heathland, then to pasture on the holes alongside Ferry Road before reversing again to links turf over the closing 3 holes. 18 holes. Par 68. 5,890 yds. Heathland / Links. Golf Links Hotel, Church Street, Golspie, Scotland. Find the best deal, compare prices and read what other travelers have to say at TripAdvisor.